Wonderful country estate sitting on approximately 15 acres. This property will give you the feeling of truly being in the country while being only about 20 minutes from WLR action. Property is adjacent to approx 6,000 acres of timber, providing tons of wildlife and wonderful hunting opportunities. 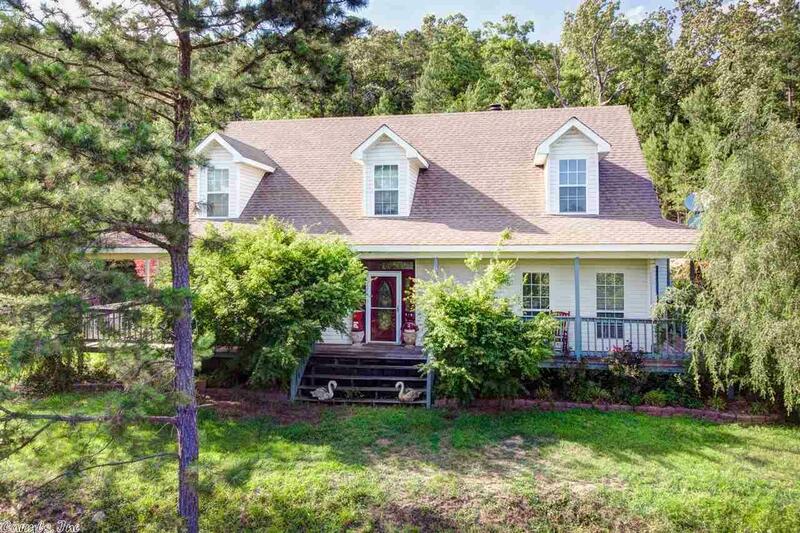 This home boasts a wrap around porch and master bedroom on main level. Walnut hardwoods, woodturning fireplace, shop, home office, and more. Combo Lock, Agents See Remarks.